The Aria™ diffuser is a unique, stylish way to bring the benefits of essential oils into your home. 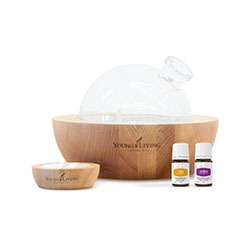 It features a solid American maple base and remote, a glass dome to direct the essential oil vapor, relaxing multicoloured LED lights and a selection of soothing, built-in sounds. It also has an auxiliary port (cable included) to play music from a mobile phone or music player. 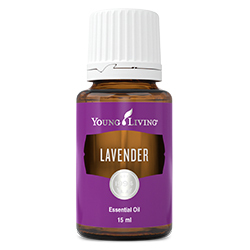 The Aria Diffuser comes with free 5-ml bottles of Lavender and Lemon essential oils. Elegant ultrasonic mist gives any space a spa-like atmosphere. Set the mood by selecting from a range of LED light colors. Natural materials such as a durable American maple base and glass dome direct the essential oil vapor. Matching wood remote control allows you to turn on the Aria from any spot in the room. Choose from 12 minutes of relaxing music played through internal speakers or plug in your own personal music player with the provided auxiliary cord and listen to any music you choose. Assemble the Aria by fitting on the splash guard, ventilation attachment, and electrical plug. Fill with distilled or filtered water up to the water indicator line. 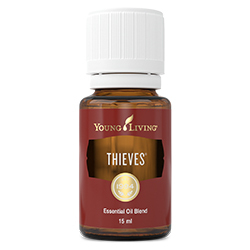 Place 15–25 drops of Young Living essential oil into the water well (more if you prefer more oil vapour in the air). Turn on the Aria using the remote and enjoy. Portability: When moving the Aria from place to place, tip it sideways as indicated in the instruction manual to empty the oil and water and then unplug it and carefully transport. The Aria works best on firm surfaces like a bed stand, counter, or desk. Aroma Coverage: The Aria diffuses well in an average-sized bedroom or kitchen (approximately 40 square metres), depending on the amount of essential oil used. Noise: The only noise from the Aria is the slight rippling of the moving water and soft hum of the internal fan pushing out the essential oil vapor. 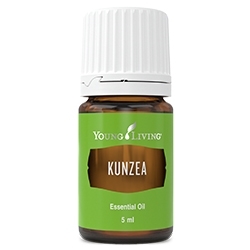 Wipe down the diffuser after every use with a clean, dry cloth. The glass bowl is dishwasher safe.